India’s first reality TV show ‘Meri Awaaz Suno’ winner Sunidhi Chauhan is celebrating her 35th birthday on August 14. She was awarded by legendary singer Lata Mangeshkar for winning the show. Sunidhi has lend her voice in more than 3000 songs and several languages which includes Hindi, Marathi, Kannada, Telugu and Tamil. Her first song was from the movie Shastra but she came to limelight with Ram Gopal Verma’s ‘Mast’ with ‘Ruki Ruki Si Zindagi’ for which she also received a Filmfare Award. Songs like Mehboob Mere, Bumro Bumro helped Sunidhi career to take a boom but it was item numbers which made her benchmark. Songs including Bidi Jalaile, Sheela Ki Jawaani, Main Chamiya item Bomb Huna and Kamli were huge chartbusters. 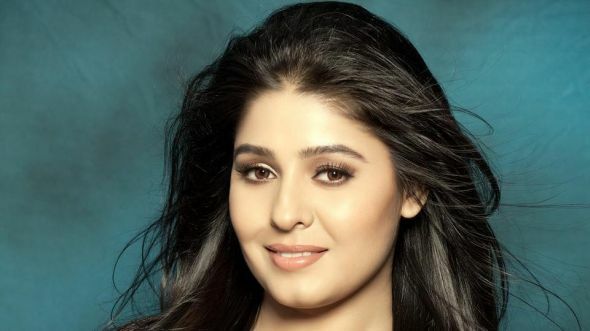 It is not that Sunidhi can only sing groovy peppy numbers, she has sung some of the beautiful romantic number as well including Mere Haath Mein, Mere Sang, Dekho Na, hey Shona and many more. Her personal life has been full of struggle. When Sunidhi was just 18-year old, she got married to a director who was 14 year elder than her. Her marriage didn’t worked out and she was divorced within one year. She was homeless after divorce but it was music director Anu Malik who took her into his house to stay. In the year 2012, she married to her childhood friend and music composer Hitesh Sonik. The couple is also blessed with a baby boy.